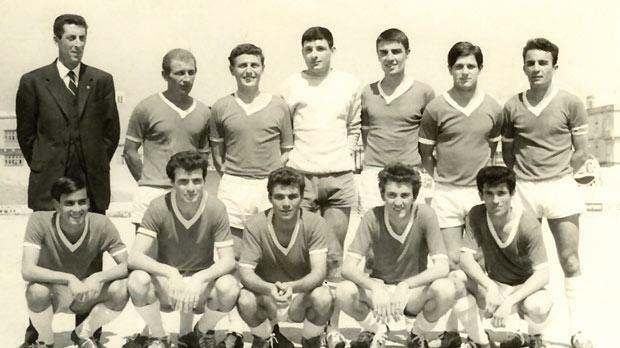 Msida St Joseph’s 1966-67 Division Two championship winners. In 1966-67, for the first time in the history of the game, two teams were promoted from the Second to the First Division. At the same time, no team was relegated so this brought the number of clubs in the top flight to eight. That season, the favourites to win the Second Division title were Birkirkara. With their vast experience, the Stripes were tipped by the pundits to win promotion without too much difficulty. Other contenders were Gżira United, Qormi and Mosta Athletic. Birkirkara, however, surprised one and all when in their very first league game of the season they lost 0-3 to Lija Athletic. To make matters worse, this was the only victory which Lija registered during that campaign. Birkirkara took a long time to find their feet after this setback and it was only in the second round that they recovered some lost ground. By this time, however, it was too late for them to make any impact on the race for promotion. In contrast, Gżira started the league like a house on fire. They played some of the best football of this division but for some reason, in the second round they failed to maintain their challenge. In the meantime, Msida St Joseph were gradually making their presence felt and after a ding-dong struggle they won the league with just one point over Qormi. At the start of the competition no one was foolhardy enough to place his bet on Msida who had only won promotion from the Third Division the previous season. No expert dared to predict that the Saints would defy the form books and win the league and promotion at the first time of asking. The experts, however, should have been warned by the fluid football the Saints played the previous season at the Schreiber Sports Ground where they won many hard battles before claiming a place in the Second Division. It was a great moment for Msida SJ. This was the first time in 27 years that the town would be represented in the First Division. The other occasions when teams from Msida played in the top division of Maltese football were: St Joseph’s United 1909-10; Msida Rangers 1912-1921; and Msida Rovers 1923-1926. As already stated, Qormi started as hot favourites to win promotion. This, in fact, they did but their supporters were only partially satisfied as they expected their team to win both the title and promotion. Birkirkara somewhat made up for the disappointment of their league campaign by winning the knock-out competition. They beat Msida 2-1 in the quarter-finals in one of the best matches of the season. The Stripes had to fight hard in the semi-finals to eliminate Lija who always seemed to reserve their best form for their neighbours. Birkirkara won 3-2 but only after only going through hell and high water. On their part, Qormi beat Gżira 3-1 in an epic semi-final which needed two replays. The final, as expected, attracted a very big crowd to the stadium. Both sets of supporters made merry but at the end it was those of Birkirkara who went home singing as the Stripes beat Qormi by the minimum of margins.